Acton Massachusetts is located in western Middlesex County, about twenty-one miles west/northwest of Boston. The town has an intriguing history. There were Native Americans in the area some 7,000 years ago. It was settled in 1639 and founded in 1735. Major areas of the town include the five village centers: Center, West, South, East and North Acton. One of the Best Places to Live in America: #11 on Money Magazine’s list of great small towns in the U.S. 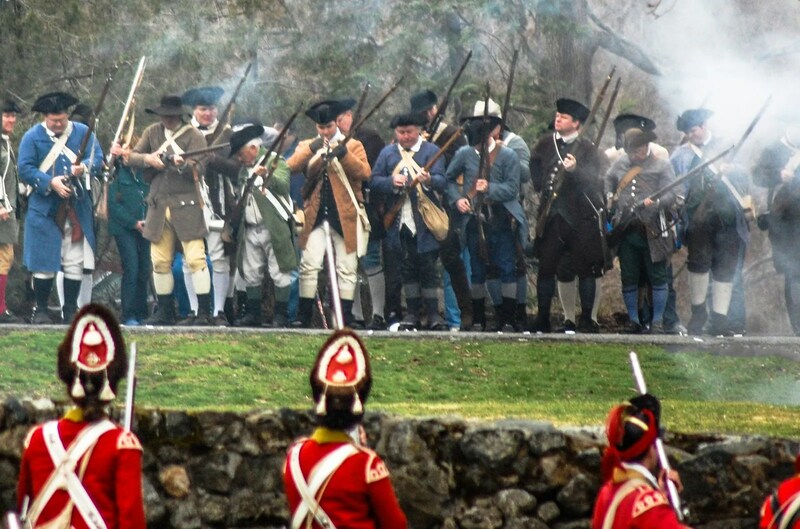 These photographs are provided to us courtesy of the Acton Minutemen. Every year the group sponsors numerous events to commemorate the sacrifices of local men and women in the Revolutionary War. See more photos on their website. 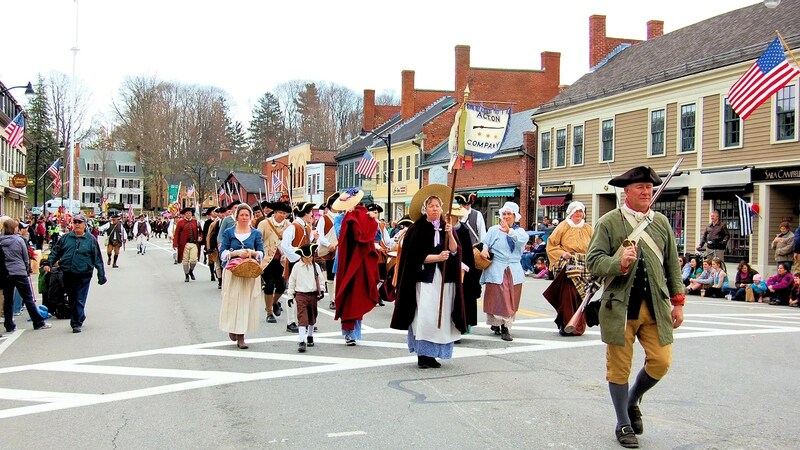 The parade photo features the minutemen and women marching in downtown Concord. Hero Feature Photo Information: The library photo shown on the top of the page was taken on May 30, 2006. It is from Wikipedia and it is in the public domain. The photographer is not known. The Fall Ice Pond photo is from Singlespeed Photography.